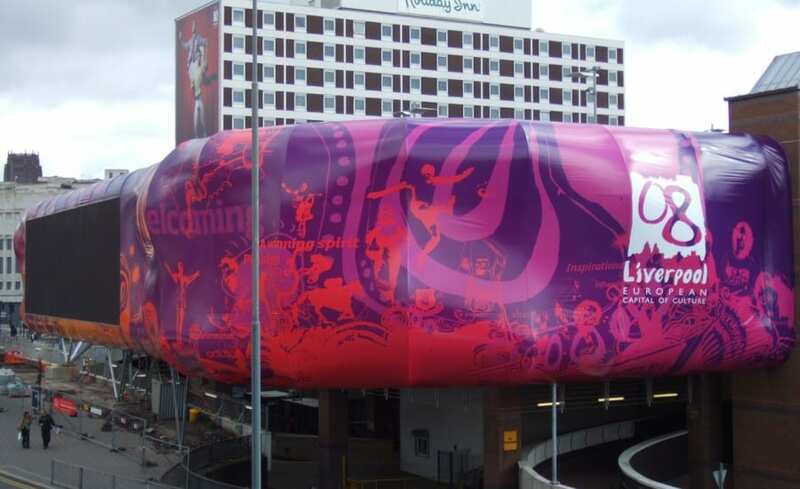 Very few locations could be as high profile as Liverpool Lime Street, so when Land Securities wanted a venue to install Europes largest media wall to promote Liverpool City of Culture 2008, it was the perfect site. 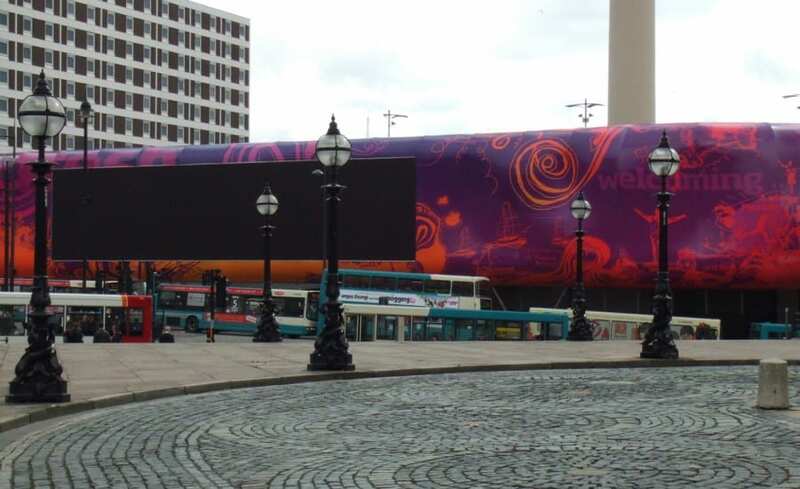 The 31m x 7m video wall is encased within a psychedelic printed fabric wrap, which surrounds the St Johns Shopping Centre one of Liverpools biggest shopping destinations. 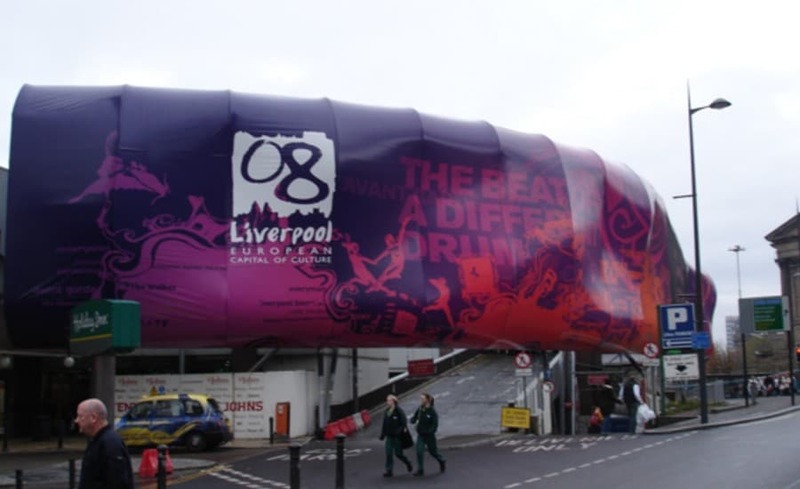 Displaying images of iconic Liverpool people, places and events, the wall is an eye catching feature which ISG contracted Architen Landrell to design, manufacture, print and install. Fabric was chosen particularly because of its printability and the ease at which it could adopt the shapes envisaged by the designer. The undulating form of the wall meant extensive image correction was required a task which pushed the boundaries of what is technically possible with todays technology. 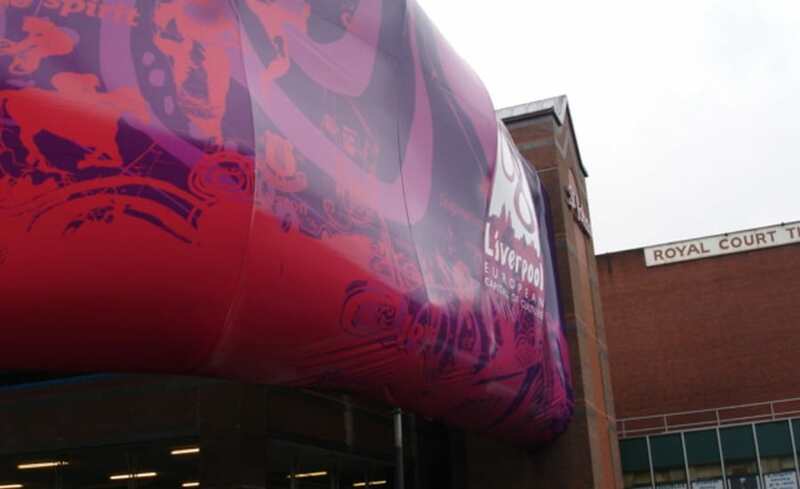 Architen Landrell was the ideal candidate for the job and we were chosen because of our ability to provide a solution to the designers complex fabric design; the melding of tensile fabric structure technology and large image printing is a unique skill to Architen Landrell. The project included a number of technical challenges. The task of providing sufficient fabric shape while still being able to provide an image design that that the printers could correct and print was a complex one which could only be overcome by careful design and patterning. 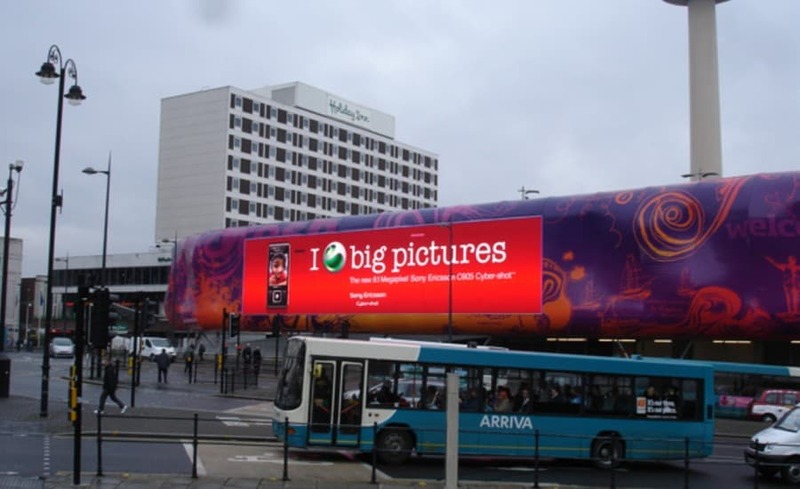 We worked closely with printing company MacroArt to achieve this. 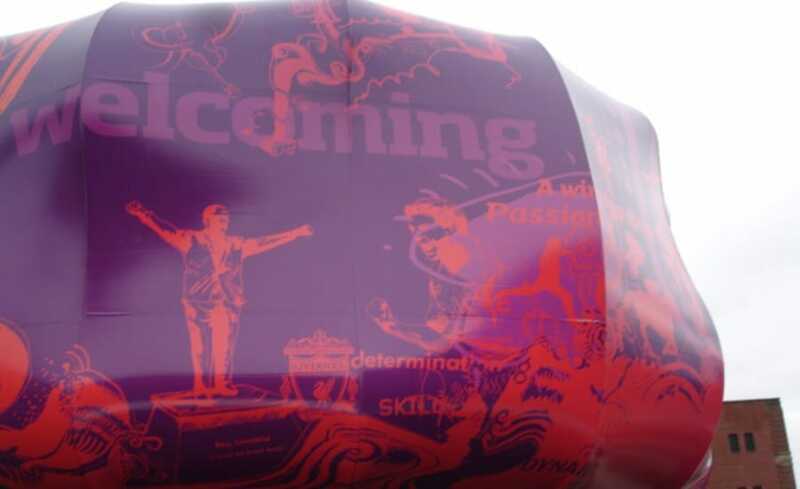 Additionally, due to the shape of the highly sculpted panels, innovative methods of installation had to be developed to cope with site conditions and limited night time site hours. Architen Landrell adopted a combination of MEWP and rope access techniques to install the fabric.